D. Bordwell, Reinventing Hollywood: How 1940s Filmmakers Changed Movie Storytelling. University of Chicago Press, 2017. 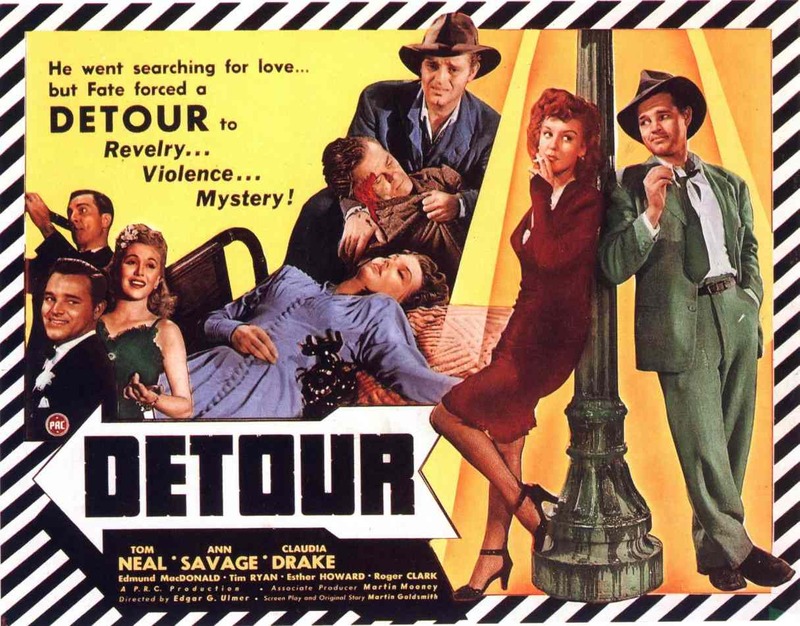 A. Britton, “Detour,” in The Book of Film Noir, 1st edition., I. Cameron, Ed. New York: Continuum Intl Pub Group, 1994. W. Dixon, Cinema at the Margins. Anthem Press, 2013. G. Erickson, “Fate Seeks the Loser: Edgar G. Ulmer’s Detour (1945),” in Film Noir Reader 4, A. Silver and J. Ursini, Eds. Hal Leonard Corporation, 2004. B. Herzogenrath, The Films of Edgar G. Ulmer. Scarecrow Press, 2009. N. Isenberg, Detour. British Film Institute, 2008. N. W. Isenberg, Edgar G. Ulmer: A Filmmaker at the Margins. Univ of California Press, 2014. A. Lyons, Death on the Cheap: The Lost B Movies of Film Noir. Da Capo Press, 2000. L. Morton and K. Adamson, Savage Detours: The Life and Work of Ann Savage. McFarland, 2009. G. Rhodes, Edgar G. Ulmer: Detour on Poverty Row. Rowman & Littlefield, 2009. 吉田広明, B級ノワール論: ハリウッド転換期の巨匠たち. 作品社, 2008.